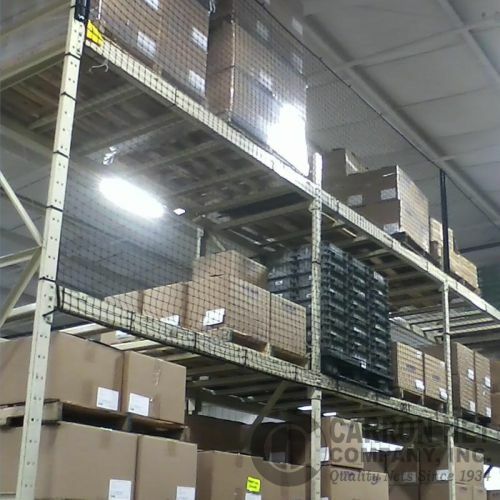 Installed on the back side of racks or in flue spaces between racks where regular access is not required, Pallet Rack Guard Nets from Carron provide an economical product retention and employee safeguarding solution that's custom designed to meet your needs. 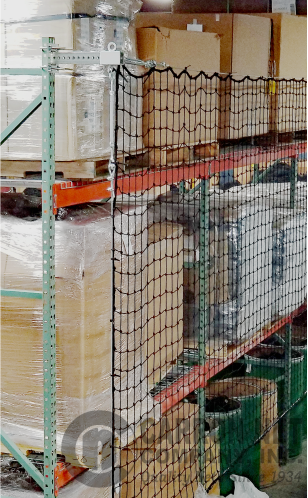 Offered in a variety of mesh sizes and load ratings, when properly installed these nets help comply with storage rack guarding requirements under OSHA 1926.250. INSTALLATION: The two most common installation types are Offset and Flush Mount. 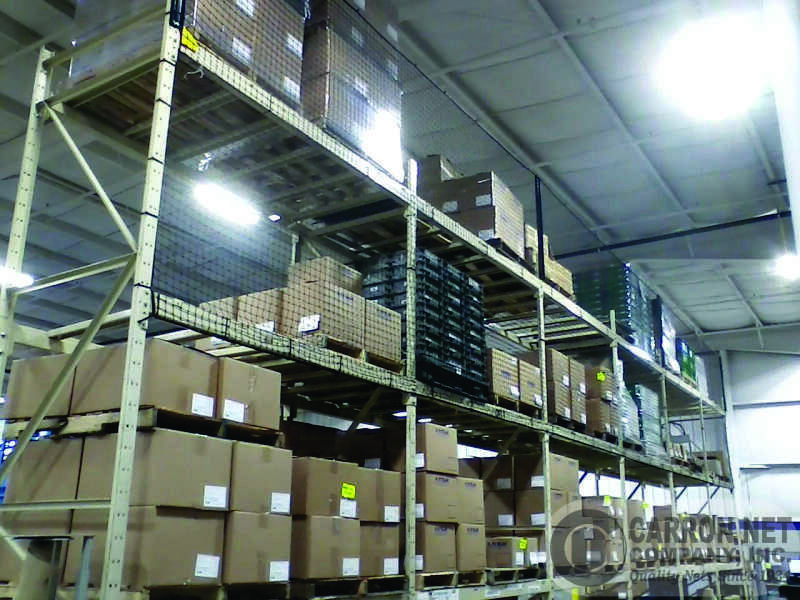 Offset Installation is required where pallets or product loads overhang the rack face 3" or more. Our adjustable horizontal offset brackets provide the base for a cable frame which supports the netting away from the rack frame. 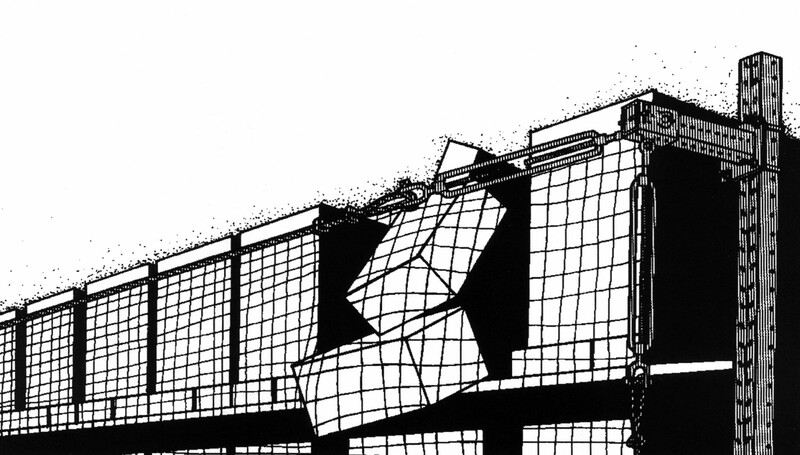 See the Rack Guard Installation PDF for further details and installation instructions. Flush Mount Installation is used when no allowance for pallet or product overhang is required. Heavy duty nylon tie wraps are used to attach the netting directly to the rack frame on 1' centers on all edges.